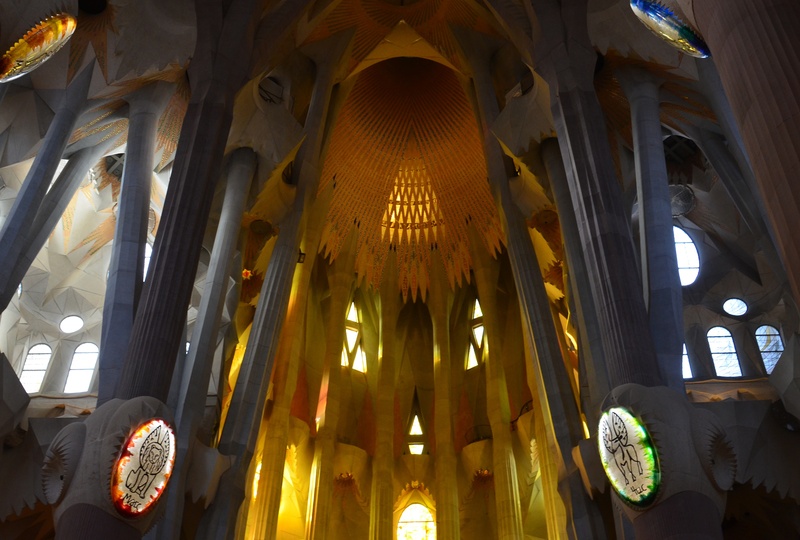 The large columns inside that are holding up the Sagrada Familia are meant to replicate the feeling of a forest. 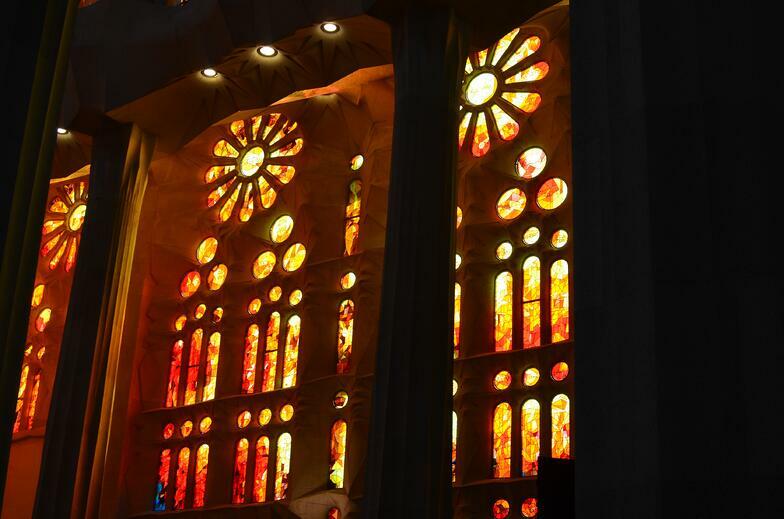 Gaudi’s architectural designs and ideas were noted to be way advanced for his time. While we were in Barcelona there was a protest against Catalonia leaving Spain. This took place on October 12 which is Día de la Hispanidad (Spain’s National Day) and when Columbus’ first voyage reached the Bahamas. There were people all over the streets walking draped in Spanish flags. 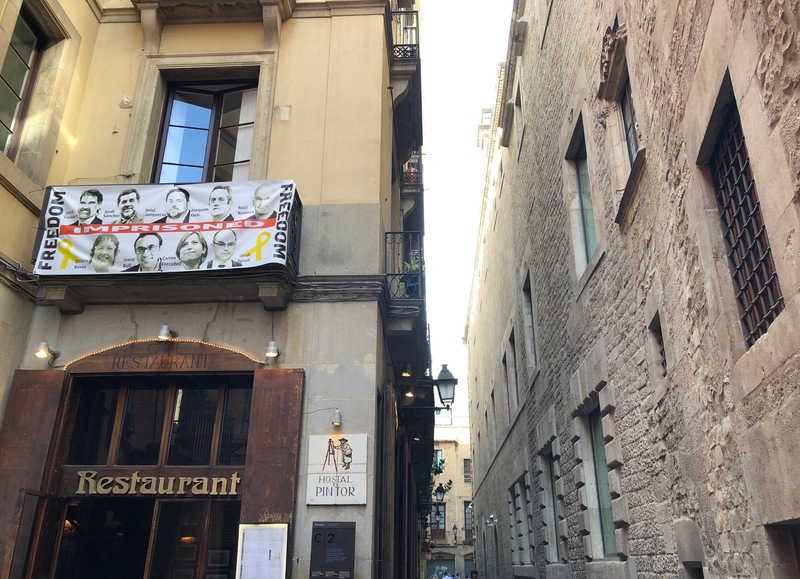 Also visible throughout the city were Catalan independence flags as well as banners and yellow ribbons demanding freedom for Catalan politicians being held in jail for their role in organizing a referendum on independence (deemed illegal by the Constitutional Court). 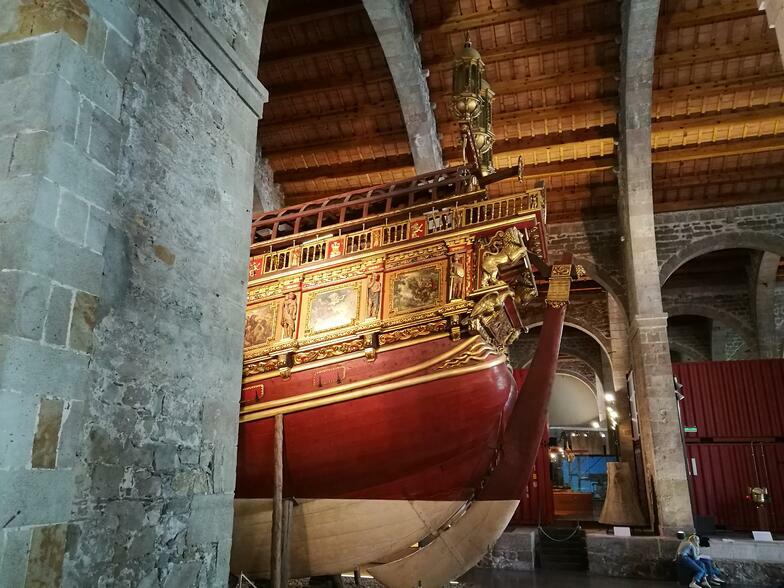 Students visit Barcelona’s Maritime Museum built on the site of the Royal Shipyards of the Kingdom of Aragón (an often ignored Mediterranean maritime power which reached its height in the 14th and 15th centuries). The protest was against Catalan independence. They were chanting “¡Visca Catalunya!, ¡Viva España!” and talking about how they needed to walk together as a country. Going to this protest was one of the most interesting and educational things I experienced while I was in Barcelona. Looking down on the port of Barcelona from Montjuic. 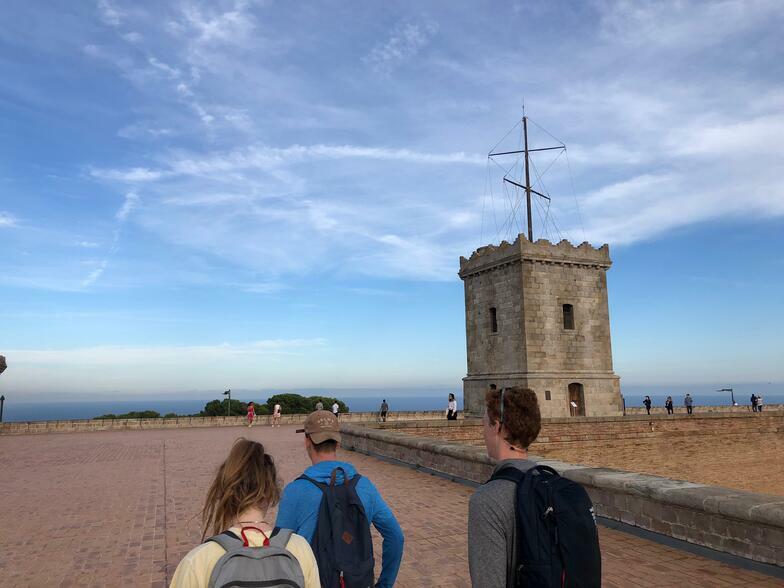 Always a strategic point overlooking the city and port of Barcelona, the top of Montjuic first was home to a lighthouse/watchtower and then a military fortress that allowed the Spanish military to control the city (and suppress Catalan revolts). It later served as a prison where during the beginning of the Franco regime the former President of Catalonia was executed. 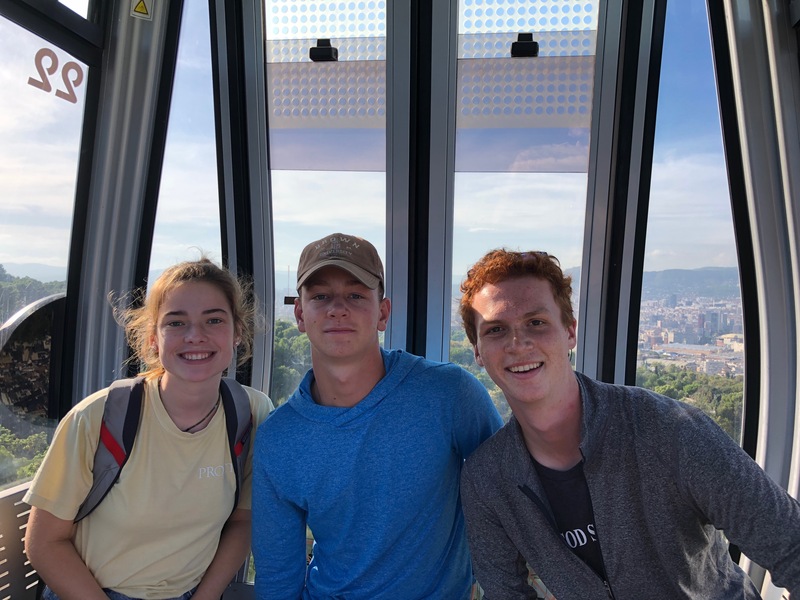 One of the afternoon activities that was offered was a gondola up a mountain to an old fort and castle called Montjuic. This fort looked over a shipping port, beach and the city; the other half of the group when to a maritime museum. Looking over the port there were thousands of shipping containers and boats in the water traveling all over the Mediterranean and world. 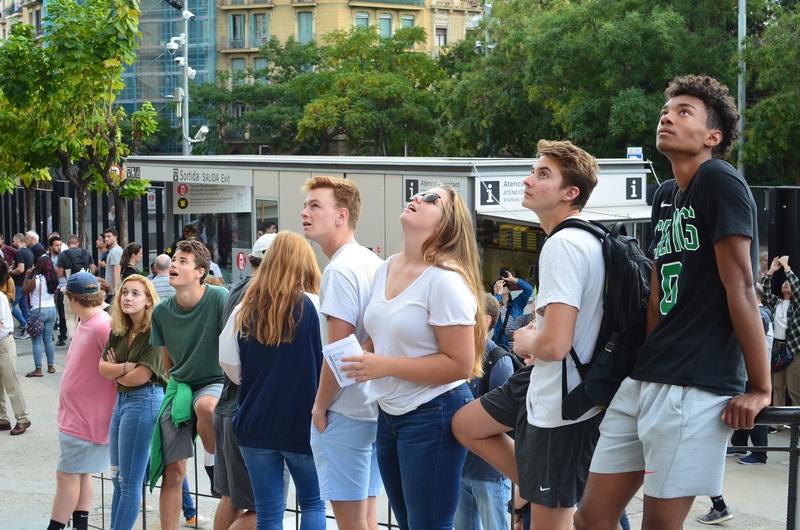 After a packed few days in the exciting city of Barcelona, the group squeezed into two cars tightly packed with bags and kids and started the hour and a half trek north of the city and into the countryside of Catalonia. Veering off the highway and onto tiny roads surrounded by fields felt like we had entered a whole new country, not just driven a short distance. With the gorgeous views came the seemingly never ending smell of pig farms. 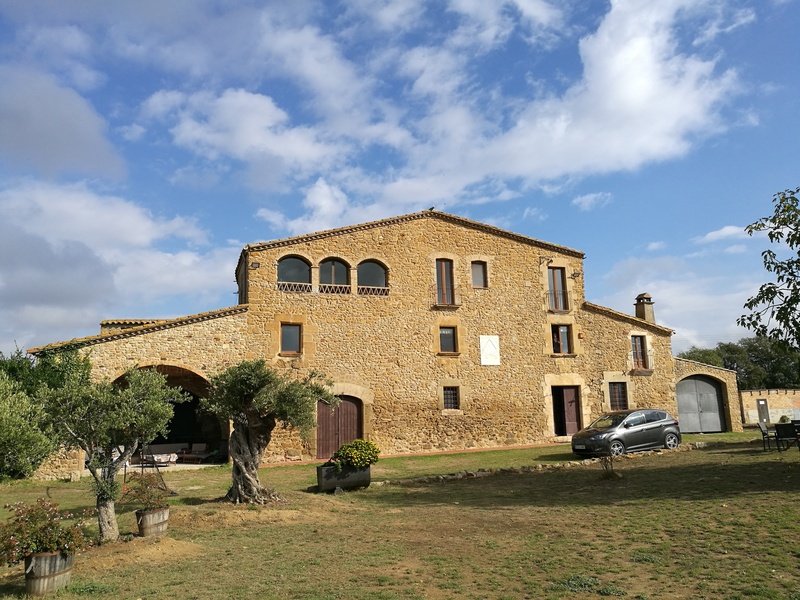 The house we arrived at to be staying in for the next two days was on a tiny dirt road, completely encircled by grass fields and olive trees. 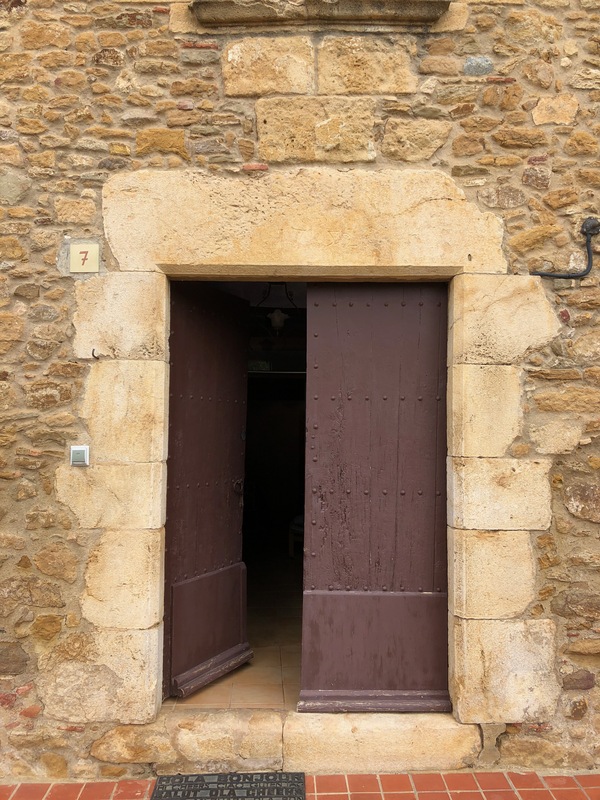 A Catalonian man was waiting for us outside of the house, or *correction* castle, and the first thing he told us was that this house was older than the United States. It was a pretty insane spot to say the least. We settled in to our rooms, slept in until 10 the next day (a welcomed surprise) and woke up to Ryan spreading the groceries out on the table. One of the main things we all miss while being here is American breakfasts… specifically Jakes breakfast sandwiches. Naturally, we indulged in our cooking experience and were energized for the awesome day ahead. 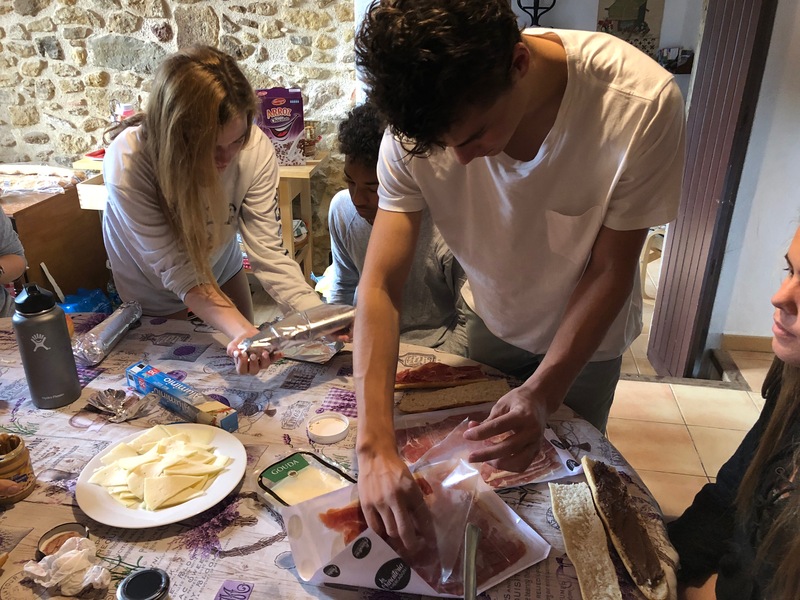 On excursions we often make bocadillos for lunch. 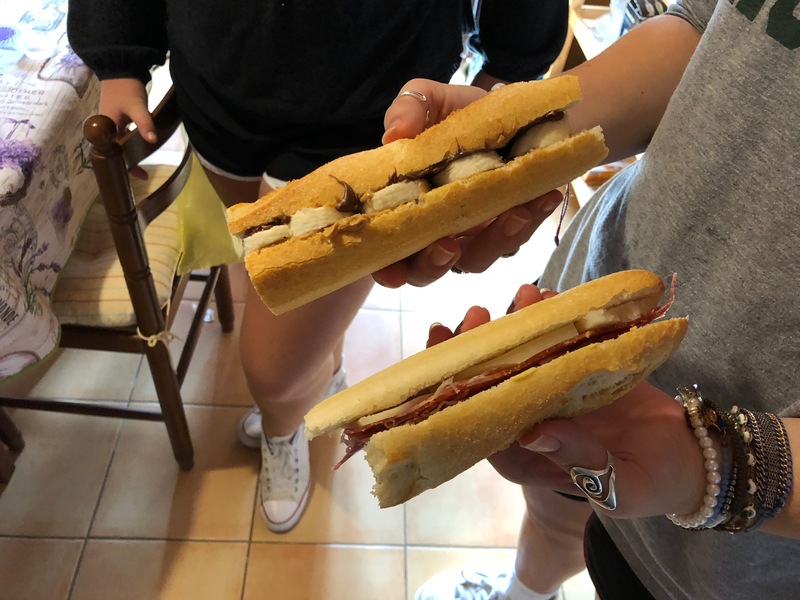 Here is the finished product, a bocadillo de jamón serrano y queso manchego and a Nutella and banana sandwich. 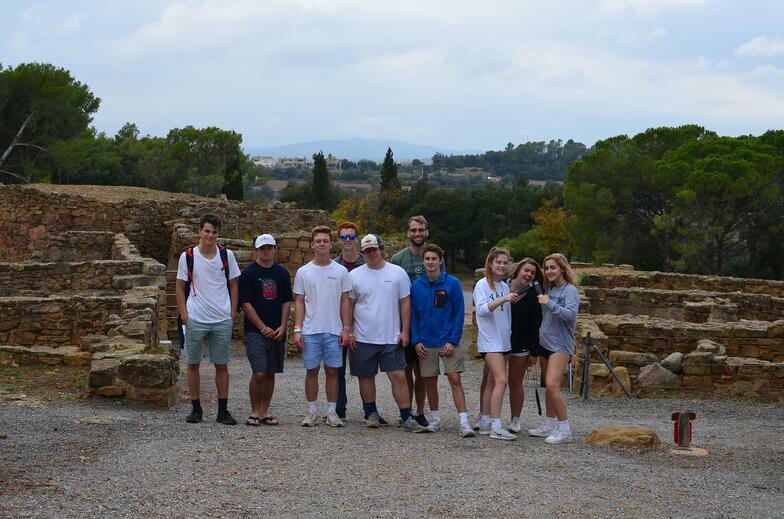 First, we visited an Iberian settlement, which put our history classes from school into reality. We walked around while listening to an audio tour explaining what we were passing, visited the museum and watched a 3D movie replicating what life would've been like for a civilian in this time. After this we drove to a nearby medieval town and ate our bocadillos. This town was so cool to see because it’s still in use today as a place for people to live, even though it’s quite a tourist attraction. 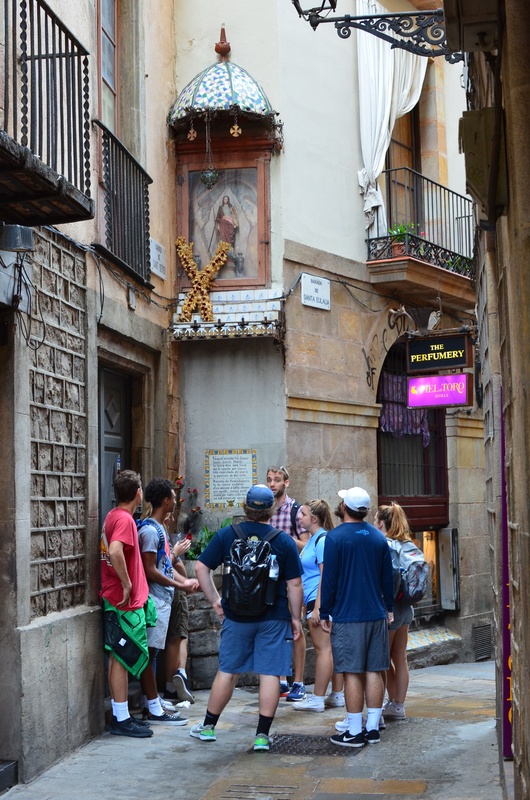 All of the streets were narrow, winding cobblestones with cute stores and cafés scattered within. 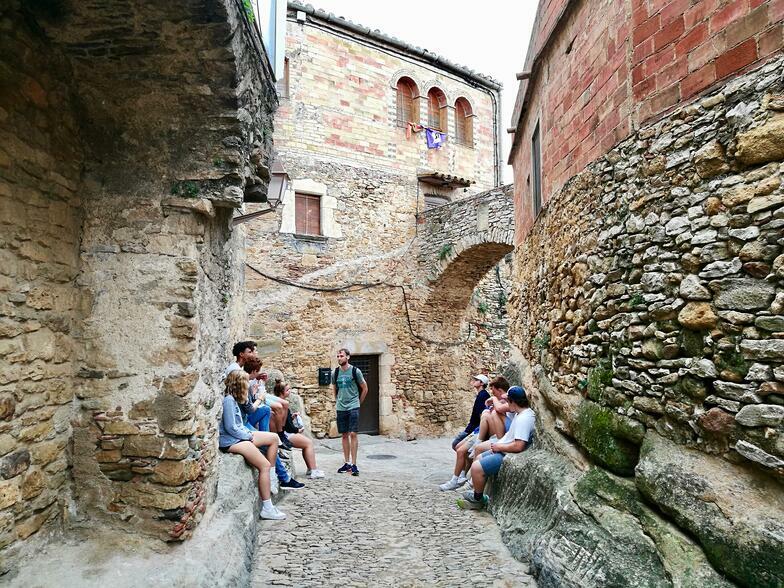 Levi presents on the Catalan independence movement in the gorgeous medieval Catalan pueblo of Peratallada. Visiting the most important Iberian archeological site, Ullastret. 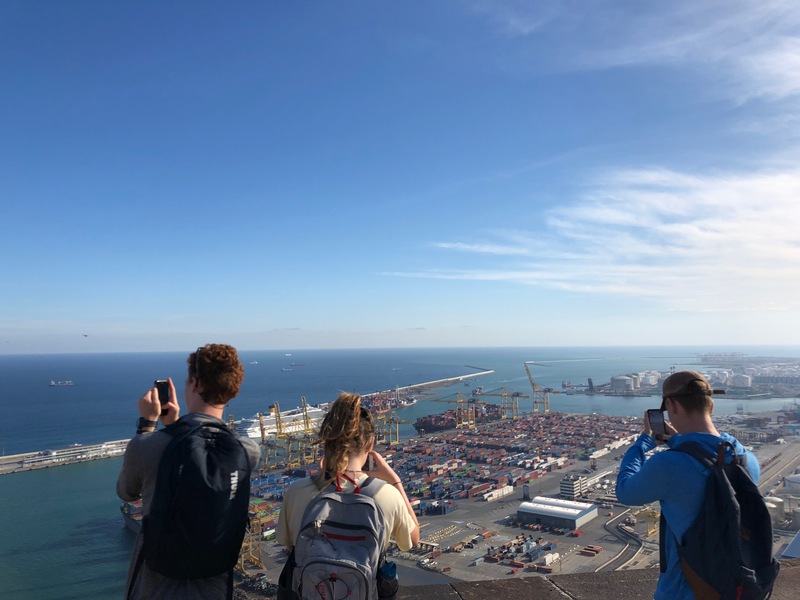 Even though it was a chilly, overcast day, we all wanted to see the Mediterranean ocean, and this ended up being my personal favorite part of the whole excursion. Cliff jumping!! 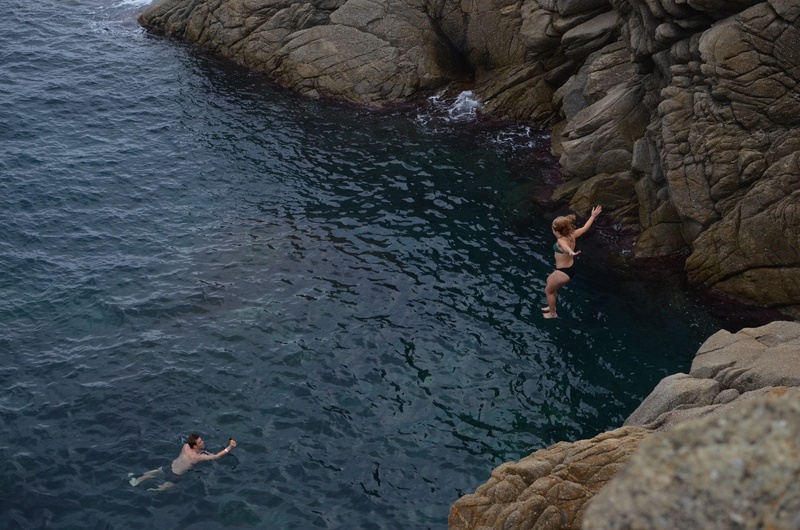 The group hopped into our bathing suits and off we went, jumping off rocks into the brisk waters of the ocean. Everyone walking by on the trails looked at us like we were crazy for swimming on such a cold day.